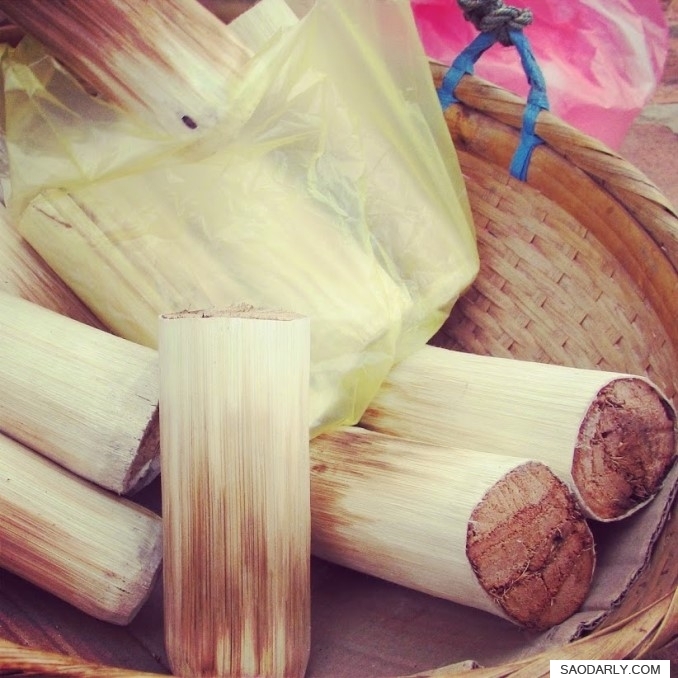 Buying Khao Larm (sweet sticky rice in bamboo tube) in Luang Prabang, Laos, from a grandmother along Nam Khan River. 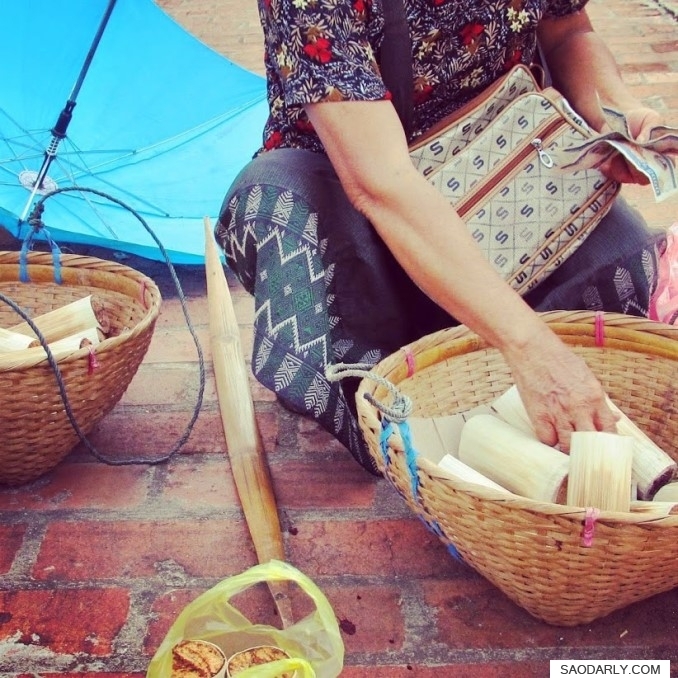 It was a rainy morning and this grandmother was doing her morning route, trying to sell her homemade sweet sticky rice in bamboo tube. She was a sweet old lady and I don’t think anyone can say “No” to her, especially on a rainy morning such as this. 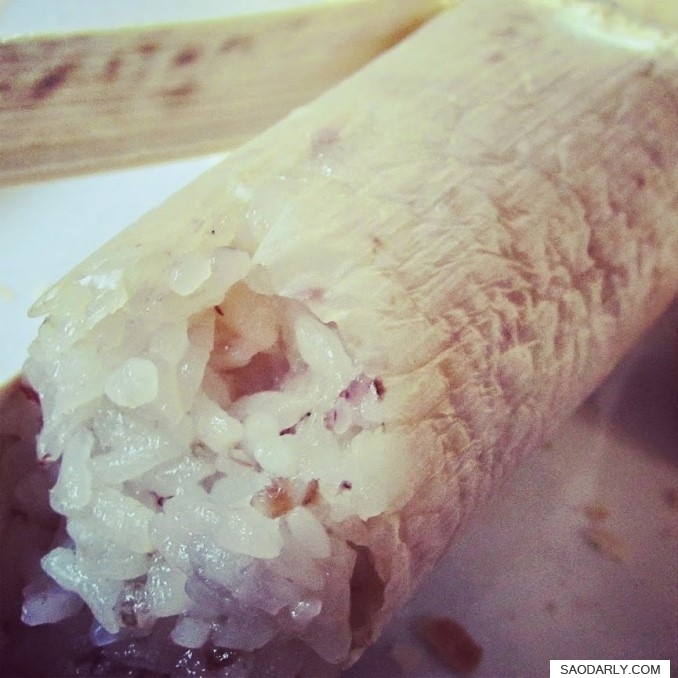 The sweet sticky rice in bamboo tube makes a great breakfast, lunch, or snack anytime of the day.